Recently I was in the library/computer room at my small school. I decided to take advantage of the computers in my classroom and have the students play some online ESL games. However, after playing, I realized that you could use some of these in your own classrooms as warm ups or closing activities (mostly because they're short games). A website I am currently in love with is ESL Games Plus! 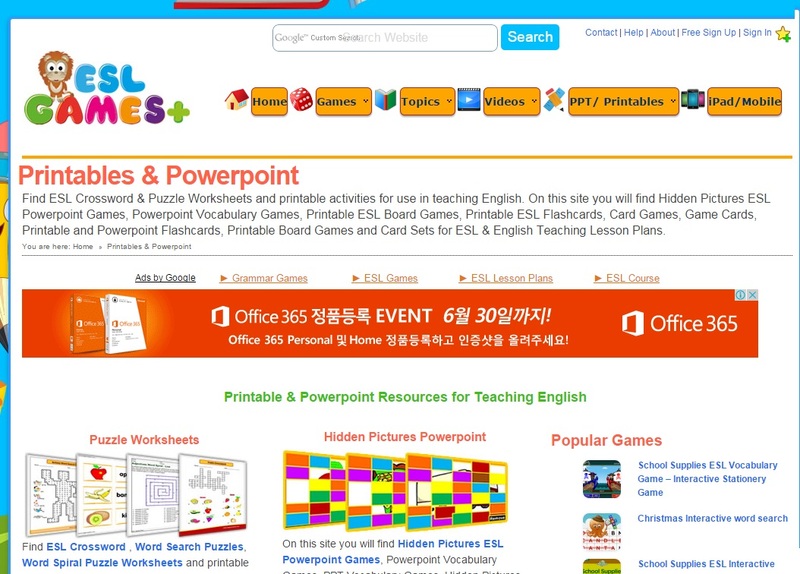 They have a range of ESL games, videos and more. If you don't have a textbook for whatever reason - you could easily follow this website. 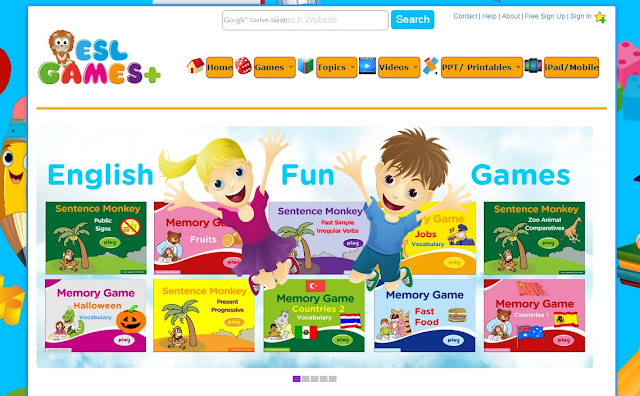 Great for private tutoring for the young ones, or even a recommendation for ESL at home for the kiddies. For Grade 6 we are onto a topic about comparatives. The vocabulary includes "faster, heavier, bigger, stronger, lighter" etc. Before starting the lesson I reviewed these words and also their opposites. Lucky for me, they are quite a high level group so they already knew most of these. I also went over prettier, uglier, smarter, dumber...but explained also that these could be mean or rude sentences. Also, we went over the differences between ER and EST. So A couple sentences on the board. "The giraffe is taller than the gorilla." "The giraffe is the tallest animal in the world." "The blue whale is bigger than the elephant." "The blue what is the biggest animal in the world." They quickly got the hang of this and I encouraged them to make their own sentences. Students quickly came up with "The cheetah is the fastest animal in the world." "The turtle is the oldest animal at the zoo." and other fun sentences. Next, I got them logged on to the ESL Games Plus website and they all played "Zoo Animal Comparatives"
This game worked really well and took them only about 5 minutes. Once finished, I showed the game on the big screen and asked for the correct sentences. It was a great way to work on sentence structure as well. If you're not in a computer classroom just do this as a warm up game and play as an entire class. The graphics are cute and the class are engaged about the topic. It's called Zoo Animals and it's a Pirate themed, interactive board game. The student will click on the red dice, it spins and then the ship will move to a spot according to the number rolled. Then a quiz question will pop up. They're all animal themed. 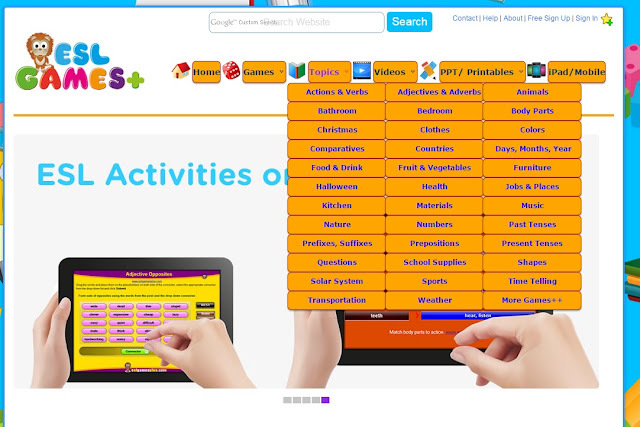 I would also do this with an entire class playing, and I control at my computer, It's a great interactive activity, cool sounds and graphics and we learnt a little more vocab about new animals not in the textbook. Overall, this website, ESL Games Plus is a great website. I discovered that they offer lots of puzzles, printables and PPTS for free also. You can easily navigate the site for the topic and or resource you're after. It will be used in my upcoming lessons for sure - especially summer camp coming up! Power Rangers Themed Speaking Game! Creating Class Menus! Lesson "Help Yourself!" We Played Our Games! "Whose is this?" The Sock and/or Pencil Game ! Designing Our Own Boardgames! Whose is this?